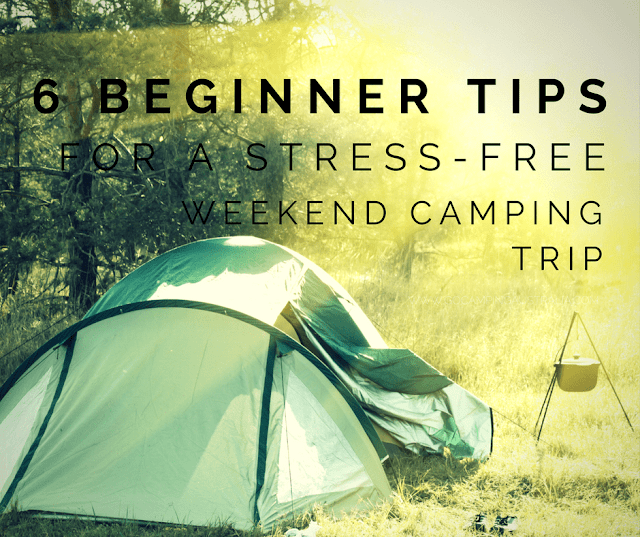 6 Beginner Tips for a Stress Free Weekend Camping Trip! 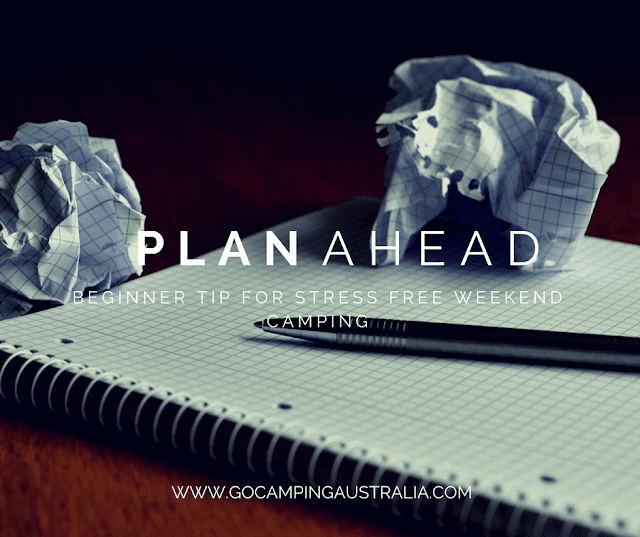 If you are planning on packing up the car (or camper trailer/caravan) for an upcoming (long) weekend camping trip, you will be fully aware that your time is limited on this trip. You want to make the most of this all-too-brief trip away from suburbia. Camping shouldn’t be stressful. It shouldn't be complicated. It’s meant to be about relaxation and the outdoors but in order to achieve this, a little bit of planning and preparation will definitely help. This applies whether it's a 1 night away from home, or 5 nights. Planning does help. We put together 5 tips based on our own experiences and our own weekend getaways. This is what worked for us, especially when we were new to camping. Hopefully these tips can help your weekend trip be an easier, less stressful one. Tip 1: Don’t travel too far from home. If you only 1-2 nights away from home, you don’t want to spend hours and hours getting to and from your destination. You want to start enjoying the outdoors ASAP. Friends of ours travelled from Adelaide to Coober Pedy for a weekend which is 8 hours one way. That was a good portion of their 3-day weekend in a car. Yes, you can enjoy the scenery on the way, but it’s a camping trip and you may want to start camping a little sooner. Staying closer to home can mean less stress about arrival and departure times too, especially if you have to leave on a Saturday morning after school sport or working. The negative of being closer to home is that a lot of other people have the same idea, and the closer you are to “civilization” might increase your chances of not getting the ideal camping spot, or at least having some solitude. Investigate camping locations in the area you are planning to go. Have a back up plan if your camping spot is full when you arrive (because bookings weren’t allowed). If bookings are accepted at your campsite, then book before you go and at least you know you have secured a campsite. It is tempting to take ALL your camping gear on every trip “just in case” you need it. Think about your menu and amend your cooking gear accordingly. We have lots of suggestions for beginners about camping food and how to pack and plan for camping. Ideas such as amending your camping food box to only hold what you are cooking, making a meal ahead of time, and how to save space. If you haven’t read this guide, check it out! If it’s a short break, will you actually have time to do all the fishing, kayaking, swimming that you wanted? Maybe choose one activity and cater for that, as opposed to bringing gear for every activity. Believe you and the family will be bored without all that gear? Then bring lighter alternatives, like cards or use that time to go on a gear-free activity like hiking or just exploring. Following on from packing light, plan ahead of your Friday night/Saturday morning departure from home. If possible, and your trip isn’t a spur-of-the-moment decision, planning what needs to be done before you head out. Sounds obvious, but if you can get your camping gear all ready to move out into the car mid-week (or the weekend prior) it’s easier on the day. Collect all the bedding, tents, bags, cooking gear, non perishables etc in one area of the house or garage. You can see what you have and don’t have at a glance. You can also be ruthless (packing light again) and reorganize any key tubs of food/gear. This is one of our key tips on packing your car for camping. If taking perishables buy them in advance of the trip, so you don’t have to stop on the way to your campsite. Then on the day of travel, you can pack them into your cooler. See our tips on keeping food cold when camping here. Have you got a meal made already and in the freezer? Leave a big note on your esky to make sure you take it with you! In fact, leave a note on your esky for any item that needs to be packed on the day. Amazing how little things like margarine or cheese can be left behind in the rush. The idea about planning ahead is that you now have everything ready to go into your vehicle in one go and in one place. There is no last minute running around looking for the kettle, or stove or sleeping mattress. Your departure from home is faster, and that means your trip has one less drama associated with it! If you want more tips on how to pack (and what to pack in your car) for a camping trip, make sure you read our story on car camping. Planning ahead also means checking your car/camping vehicle is road worthy and filled with fuel before the trip. Travelling with others for the weekend trip. Share the meal (and planning for it). Each group is responsible for one main meal (which you have planned ahead of the trip – don’t just spring this idea on everyone when at the campsite in case they are not prepared). It means you may have to pack less (packing light theory) and sharing the load with food preparation allows everyone to participate but not be saddled with all the work. Or if you enjoy pre-dinner drinks/nibbles around the campfire, then share that idea and prep work too. It’s all about less work for everyone. You know you will be responsible for all the cooking, then choose meals that you feel comfortable in preparing, not meals that you will need to slave over the stove/campfire for hours. You must enjoy yourself too. Naturally, if you love preparing gourmet feasts that do take hours of work, then by all means, do it. See tip 3 above - have a meal ready made before the weekend. Your time is limited on this camp trip, so think about how you want to spend it. 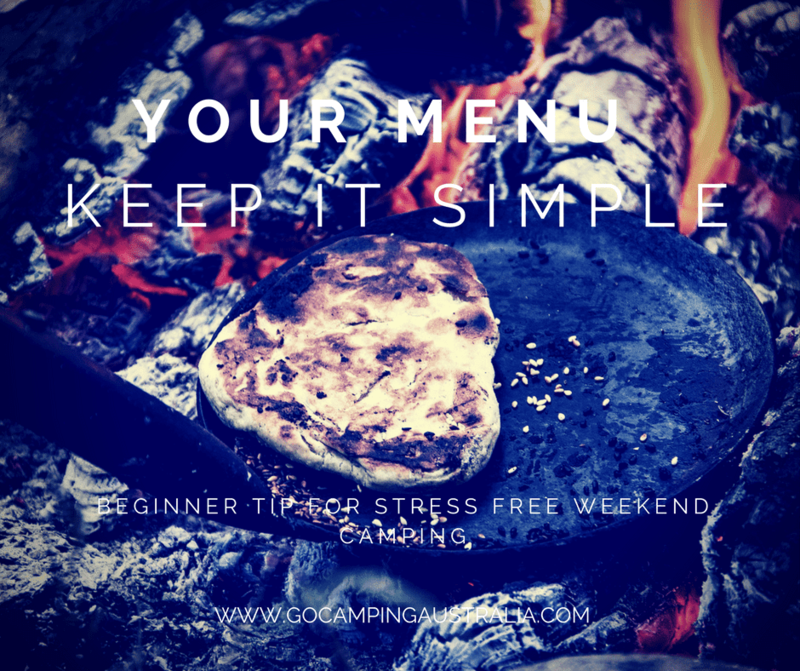 Final word on menu – if relying on a campfire for meals, make sure you know if campfires are even allowed at your location at the time of year you are travelling. 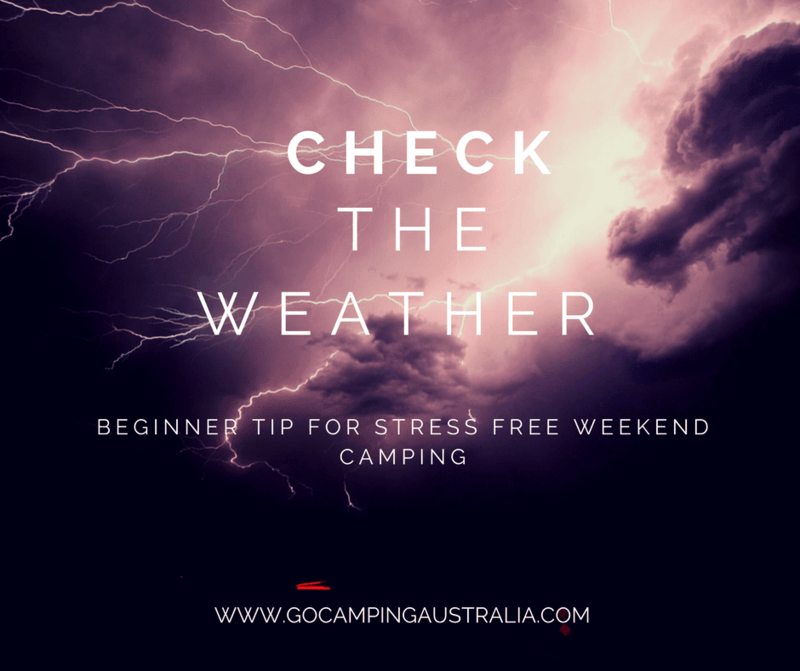 Before any camping trip, it’s a good idea to check the weather forecast for the time you will be away. Not always 100% accurate but it’s a guide to what lays ahead for you. Around mid-week, when you are doing some of the pre-planning, do investigate the weather forecast. Check again the night before travel. Rain/storms – you might want to rethink the whole trip. It’s going to depend on your ability to be prepared for the rain and having the right gear to still enjoy a camping trip. Small amount of rain shouldn’t stop you. Torrential downpours could. We have lots oftips for camping in the rain, and it definitely is still an option. Extreme heat – Also rethink. See our tips for camping in summer. Then you do want to minimize the stress about coming home and heading back to work the next day (which is frankly, quite depressing!). Firstly, pack up when there is still some natural daylight. Trying to get everything back in the car when the light is fading (or gone) makes packing up harder. Have food in the house for that night, so you don’t have to head straight out to the shops. Unpack all gear from your vehicle with a special focus on drying any gear that was wet. If you can be bothered to put all other gear back in correct spot, do so, but if tired, just leave till next day. Follow the tips we list here on “caring for your camping gear” which includes, cleaning your gear, restocking, fixing and proper storage of gear. These tips will make next trip much easier before departure. Following some (or all) of the above tips will lead to a more stress-free weekend. They do mean thinking ahead, but it will pay off on the day you leave. You just need to pack the car and hit the road.